Create as many camps, sessions as needed. Online payments set up from the start. Registration pages with YOUR branding. Account pages with YOUR branding. Email communication with YOUR branding. We market to YOU, not your clients! We list our pricing right on our Website. No hidden fees, costly module add-ons or per registrant fees. It is simple, straight forward and upfront! Save 1000's of dollars compared to other camp software. Want to reduce your camp running cost and market effectively ? Create sessions for each camp. Begin receiving payments by credit card immediately. Use your own credit card processor or use ours. Accounting reports by camp, session, or even account. Easily apply discounts or promotion changes. Set number and age restrictions to sessions. Easily create cabin assignments and group assignments.. Sent out dedicated emails to all or selected campers. All emails formatted to your brand. Get notified of all registrations and payments. Multiple participants easily managed by the account holder. Register for multiple camp sessions in one go. Clear invoicing and waiver signing . Easily view registration history of current and previous years. Easy payment system for camps/sessions. Easily select payment options and registration options. Includes design of the registration and login page. Full training on the system. Broken down into 12 easy monthly installments. Annual Fee: $345 broken into 12 easy payments of $28.75. Quite simply, there are none! 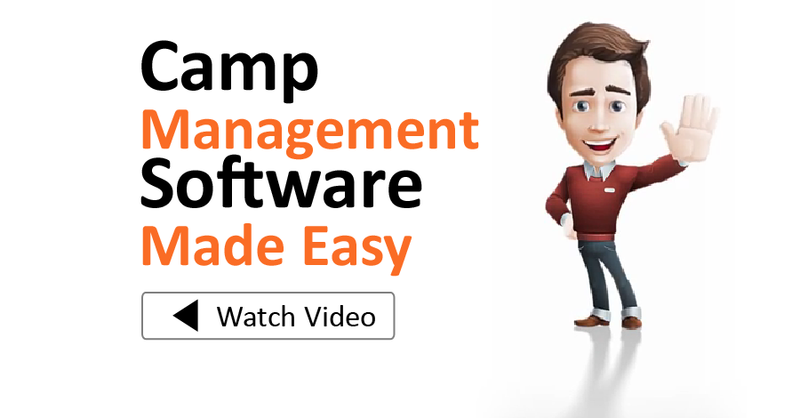 Camp Monster is an easy-to-use Camp Management platform. It allows Camp directors, studios, and clubs to manage all camps, camp sessions, pricing and registration from an administration portal. Clients can register online right from the Camp or studio Website, pay online, view current and past invoices. This convenience is a fantastic way to create brand loyalty. Directors can stay in touch with all clients via the email module within the admin area.